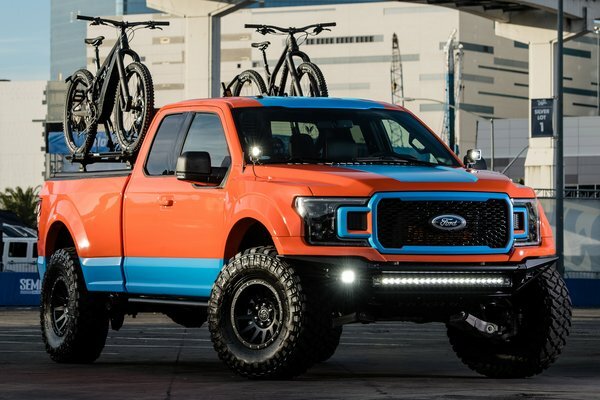 Ford F-Series, America's best-selling truck, are making a bold Built Ford Tough statement at SEMA by maximizing off-road performance, blazing new trails of adventure and delivering pure raw power. The possibilities seem endless as Ford NASCAR drivers, country music stars and famed tuners bring distinctive style and capability F-150 and Super Duty. With more than 50 vehicles on display, Ford will feature the largest original equipment manufacturer exhibit at SEMA. Plus, Ford Out Front will offer...Read.